Choice-Quality-After sale Service faultless since 1982! No records at the "Office de protection du consommateur"
JN Auto offers more than 125 quality vehicles all guaranteed and inspected; we offer same courteous service since 1982, always under the same administration. Our philosophy is always the same since 1982 : Wide range of quality used cars and trucks, and an unbeatable after sale service ! Reknown by banks since more than 30 years, JNAuto offers conventional and second chance financing in order to answer the needs of their customers. Take a look at our Actual Rates Web page for more information. Trucks and Sport Utility Vehicles lovers will be pampered at JNAuto.com. Our know how in these domains of Automotive world insure you choice vehicles at the best quality/price. JN Auto offers a wide range of used vehicles among most populars like: Dodge, Chrysler, Ford, Honda, Acura, Hyundai, Toyota, Mazda, Nissan and many more. Get a used car in one of the following categories: Pick-up, Car, Convertible, Mini-Van, Low Fuel Consumption and Sport Utility. Make you choice among more than 125 used vehicles and take advantage of an excellent after-sale service. JN Auto also offers financing, 2nd and 3rd Chance Credit, Extended Warranties, Insurances, and Professional Inspections. The reknown and quality of our used cars is well established. Since 1982, the JN Auto team offers used cars among the most asked brands. Surf this Website and discover at JN Auto the used car you look for at good price. For a Pick-up at the country cottage, a convertible for a rising sun ride, a mini-van for highway, you have a great choice at JN Auto. Make a ride at JN Auto, all the team awaits you in order to offer you your future used car. 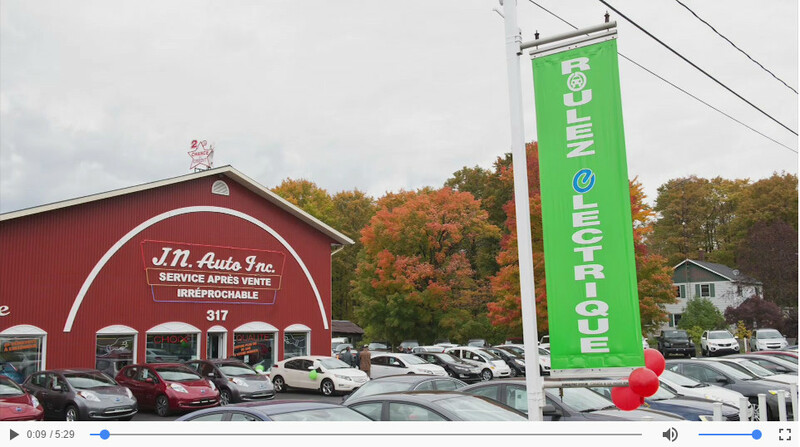 Member of the AMVOQ (Association des marchands de véhicules d'occasion du Québec) JN Auto is located at Richmond, in Estrie Area. Either you live at Sherbrooke, Montréal, Québec, Trois-Rivières, Shawinigan, Drummondville, Victoriaville, Saint-Hyacinthe, Saint-Jean-sur-Richelieu, a ride at JN Auto will enchant you. AT JN Auto, there is no hidden fees, no bad surprise. Our used cars are in a good shape and we can offer extended warranties. For a Pick-up, a Car, a Convertible, a Mini-Van, a Low Fuel Consumption or a Sport Utility, it's at JN Auto located at Richmond that you'll get it!